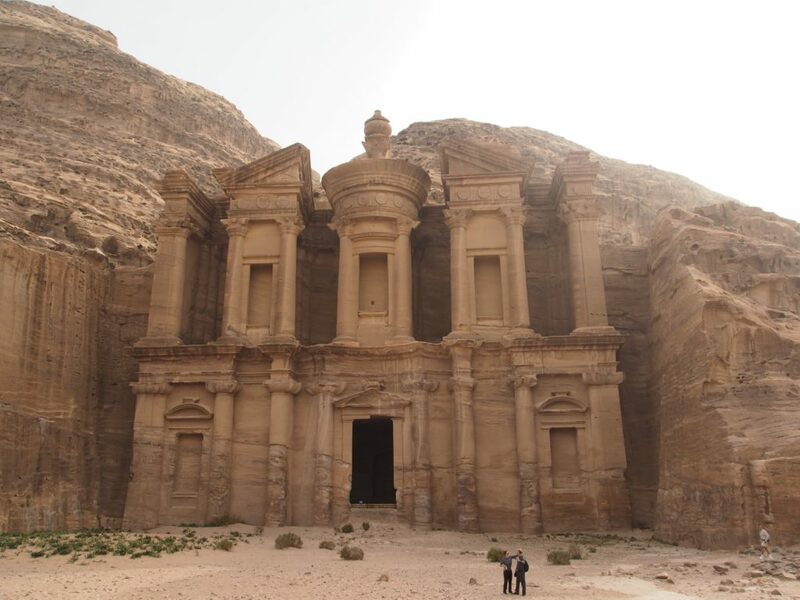 The XPand Conference (Amman, Jordan) invited me to speak on one of my favourite subjects. It’s the first big tech conference for Amman, organised by Propeller, a local investing and accelerator company. The organisers wanted to accelerate building a strong tech community. They accomplished that as well! Amman seemed to have many startups and smaller tech companies. Expedia has an office of about 100 people there as well as some tech giants like Microsoft, Oracle and IBM. I detected a heightened energy with the audience. Everyone was young and engaged. People interacted with each other throughout. They had a great gender diversity as well. From what I could tell it was almost a 50-50 split. Speaking to someone from Expedia, they also have a similar gender split in their office. Impressive! I spoke early on the first day. After that, I found myself inundated with many questions. Many people said the talk resonated with their own personal experiences. Others shared how they were transitioning through this mindset shift. Moving from Maker to Multiplier. Many other non-engineers told me my talk resonated with their own leadership paths. When I stepped outside, people approached me with questions or comments. People were very engaged and wanted to interact. People found no question too small or awkward. I found it very humbling and a testament to the local culture. I was very pleased I could offer some target questions to reflect or coach. I was happy I could offer advice or share my own experiences. 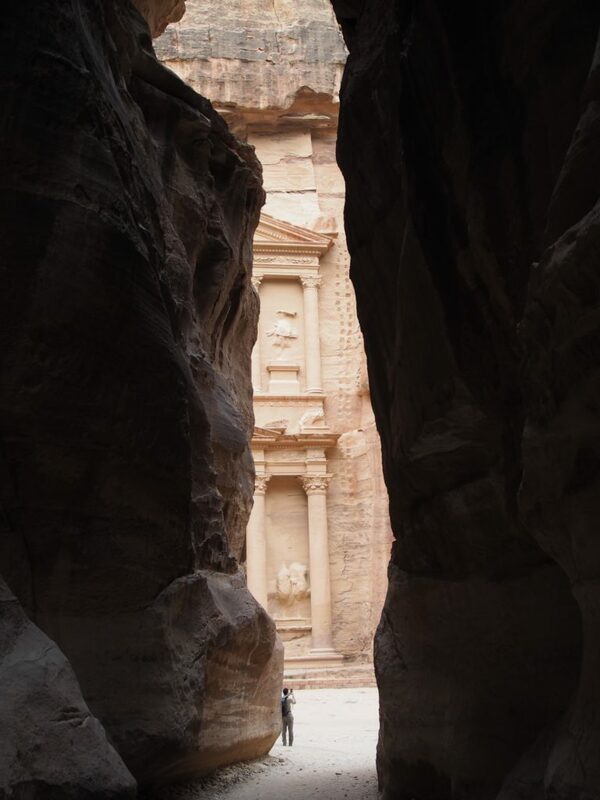 Although I didn’t see too much of Amman, I was very impressed by the city, its people and growing tech scene. I was also grateful for the invite to help share my knowledge and contribute to Amman’s tech scene. 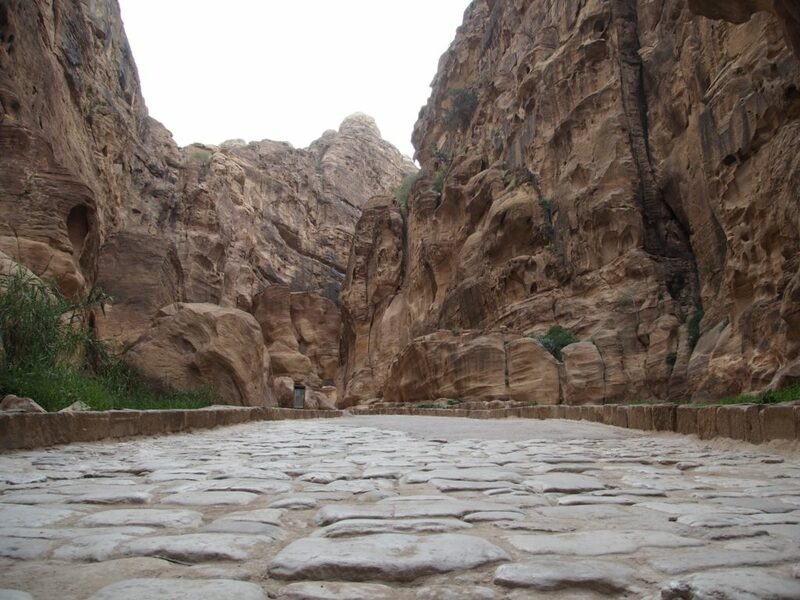 I am especially grateful the organisers arranged for me to visit the ancient site of Petra. It’s a moving and amazing experience, one I am unlikely to forget. Thanks to Tambi for the invite and Mohammad for the amazing logistics. Hypergrowth land is fun. Things change all the time. My challenge as a CTO was to shake-up the early-stage startup “snowglobe.” It was to transform “start-up” habits into a “scale-up” culture. It was to prepare and launch into hypergrowth. I took on this challenge because I saw the kernel of engineering talent that I could nurture and support. Clear priorities – It’s easy to fall into reactionary mode and want to switch gears all the time. As the old saying goes, “If everyone is a priority, then nothing is a priority.” Engineering is always the bottleneck. Ideas are cheap. Ideas are easy. You have 5 ideas. I have 5 ideas. Engineers have 5 ideas. To maximise our opportunity, we needed to be clearer about where to focus attention. We now have a better planning process that enables clearer trade-offs and decisions. Almost 4x tech growth – When I first started, I looked around asking, “Where are all the engineers?” Our ratio of tech to non-tech was way off! We worked hard with the People team to change our recruiting strategy. We improved our onboarding process. I spent a lot of personal time writing articles and speaking on our engineering culture. The result? Tech is almost 4x the people compared to when I started. We also managed this while continually delivering value to customers too. A clear Target Operating Model – Change is hard. What helps is a shared picture of how we wanted to scale Product & Tech. You can’t have more people working on the same problem. You need to create a clear focus. You need to encourage high cohesion and low coupling across people and teams. We established a shared Product & Tech Target Operating Model. This model visualises and explains new structures, processes and how they fit together. Each iteration aims to addresses organisational smells and maximise Autonomy and Alignment. We’re working on our 3rd iteration of this now. Product versus Portfolio Management – We have individual product area priorities. We also have cross-cutting projects. We now can focus on ensuring the bottleneck or critical path has full support and attention. We can manage both product and portfolio priorities well. Fuller life cycle ownership in teams – When I arrived, we already had cross-functional teams. Not all teams were responsible for the full “life cycle” of a product. Sometimes back-office or operational processes belonged to a different team. The separation lead to queues and bottlenecks. Our teams are on a journey of integrating more responsibilities. They continue to extend the definition of done to remove hand-overs. We build security and quality in from the start. Teams can better respond to customer issues, incidents and build new or on existing products. Technical governance practices that scale – As we grow, we also focus on alignment where it makes sense. Organisations can only support a certain amount of variation or entropy. Alignment helps. We adopted a lightweight RFC process and iterated on our internal Tech Radar. We built decentralised support structures like Technical Working Groups and an Architecture guild. These work without relying on the same individuals to make decisions. Three Product and Technology Hubs around the world – We’ve moved from being completely centralised in Berlin to operating three successful P&T hubs in Barcelona, New York City and Berlin. We transitioned major product ownership to one office as it grew. The team evolved and released completely new features and services in record time. We’ve maintained speed and throughput, and quality remains high. Rapid growth of individuals – As a I leader I invest in people I work with. I’ve mentored, coached and trained many individually personally. It’s wonderful to see how it’s accelerated people’s growth. People have better ways to deal with imposter syndrome. Engineers have more impact and influence through stronger leadership skills. Better yet, I know they have done this with an explicit support. Diversity, inclusion and culture – I remember one big change I first made was removing a degree requirement for engineers. I created the #diversity slack channel. I sponsored the celebrations for International Women’s Day. This lead to a wonderful support of CSD in Berlin. Watch this amazing video! I know we’re not perfect but we are improving. Our gender ratio in tech can still improve. We have, however, built an inclusive culture where everyone in Product & Tech can express ideas in safety. The CTO is one of the most confusing roles. Some call it a chameleon role. Companies have different requirements of the role. It changes rapidly in the same company (particularly one going through hypergrowth). There are just many different explanations. As our company grows, the needs of the CTO role grow and change. As a leader, I found myself asking others (and myself), “How does this scale?” I’m constantly looking at ways to scale myself too. To scale with the growing set of responsibilities, we are splitting this role. The CTO for our company, in our stage, demands a more operational, management and inward focus. I will step into a new role called, “Chief Scientist.” This new role takes a more outward focus and still guides the technical direction and growth of the tech team. I’m look forward to refocusing my attention and energy. These areas not only bring significant value to the company, but also play to my strengths. Here’s to embracing constant change, evolution and experimentation! PS. If you’re interested in joining me on building the bank the world loves to use, check out our open opportunities. Careers ladders are all the rage in software firms. They create structure and shared expectations around different levels. Like any model, career ladders have pros and cons. Career ladders are a starting point for shared expectations across an organisation. However career ladders cannot be comprehensive, as people are unique, like snowflakes. People bring their different strengths and experiences to what they do. Everyone will do this differently. As a result, I like to explain that levels in a career ladder do not represent a checklist. Rather, levels reflect how people can have a different impact in an organisation in different ways. In my most recent talk, “Talking with Tech Leads,” I explain how, some companies have a two-track career model. Two tracks are great, as they allow for more development and growth in different areas. Most of the research I did seemed to focus on two main tracks. In Silicon Valley they refer to these as Individual Contributor (IC) and Management tracks. I actually don’t think a two-track ladder is enough. This is why I present you the Trident Career Model below. The Trident Career Model has three tracks. Each track represents where people spend most of their time or energy. In this track, people spend a majority of their time (70-80%) on management activities. This still includes leading people, supporting people, managing structures & processes and organising. People in this track must still have some background in the topic they are managing. Most importantly, their main value add is not necessarily through making decisions related to the specialist field (e.g. system architecture). Instead, they manage the surrounding system & structure to ensure people closest to the work have the best context and information to make better decisions. They provide enough support, time and/or budget to enable others to do what they do best. In this track, people spend a majority of they time (70-80%) focused on “Executing/Doing”. Software engineers early in their career reflect this very well. This track still requires people to have excellent communication and collaboration skills. People in this track have impact through the deep/detailed knowledge or skills they offer. Most small companies do not need a deep IC track, as there is no need for specialisation. As an organisation grows, they may need more of these roles. The number of these roles will always be smaller than the other two tracks in a well-functioning organisation. Example roles in this track: DB Specialist, Performing Tuning Specialist, Domain Specialist. This model is indeed a simplification. In real life, the Management and the Technical Leadership tracks are not always so clearly separate. I know some companies where Engineering Managers also take Technical Leadership responsibilities, or where Tech Leads or Lead Developers are also expected to take on Management responsibilities. This is not necessarily wrong. I have personally found that, at scale, it is often hard to find people who have deep skills and experiences at both of these areas, and that it can be useful to have a discussion around where someone’s focus, passion or development progression lies. I hope you found this post interesting. 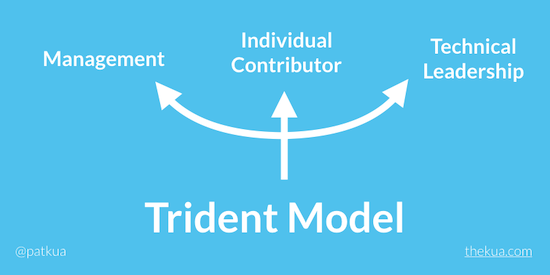 Please leave a comment about your thoughts of the Trident Model of Career Development. Life has been a bit of a whirlwind trip in the last year. I moved cities (London to Berlin). I started a new role as a CTO. I transitioned from 14 years of consulting into a management role. I joined the hyper-growth startup, N26 – the mobile bank the world loves to use. It’s been exciting to particularly see the company growth. Our customer base has grown from 500K+ users to more than 1 million. Our users transact more than €1B in currency. We’ve expanded our offices from Berlin to New York. We also announced moving to Barcelona and this is only the beginning. In this blog entry, I will share my personal lessons learned on the rollercoaster ride from this year. Over the almost 14 years of consulting, I spoke all the time about leadership. I still believe that anyone can be a leader. Leading is less about a title, and more about how you act. In my role, I also better appreciate the important role of effective manager. Google even proved that effective management matters. I still think great managers are also great leaders. We try to test for this at N26 during our interviewing process. We hold our managers accountable for having difficult conversations. We want them to be kind, not only nice. We want managers to nurture an environment of candid feedback. Great managers manage things and lead people. Managers, unlike coaches or consultants are also held accountable for this. I’ve definitely grown over this year. Our company has also grown rapidly (both with users and people). 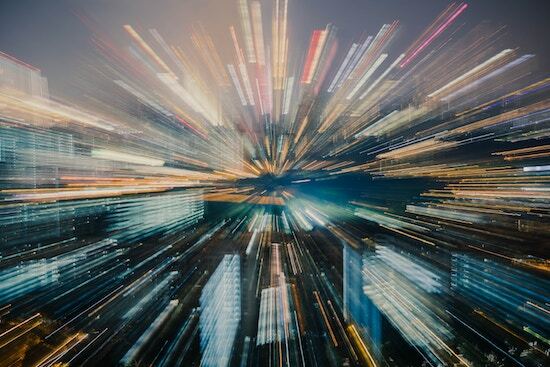 Hypergrowth means people have opportunities for new tasks. We are also not the first company to experience this. The community has been very generous with sharing their knowledge. I will contribute more to this in the future too, as I build on lessons learned. With this in mind, I have tried to support, develop and grow as many people as possible. At the same time, I’ve focused on bringing in new skills and experiences that we need. Combining a learning workforce with experienced people is tremendously powerful. I believe very much in Simon Sinek’s “Start with Why.” A group of brilliant, collaborative problem solvers will end up with a better idea if they understand why. You can, of course, still give your input. Your role as a leader it to explain the context. Or to clarify the goal or problem. Not just the solution. I’ve seen too many technical debates fail because they first didn’t agree on the problem. Agree on why, then move on to what. In a fast moving startup, I found people underrate listening. Listening and asking questions are my most powerful tools as a leader. I always try to be generous with my knowledge and experience. I’ve particularly enjoyed helping people grow. Sometimes it’s required tough, candid conversations. Effective feedback helps people grow. Coaching and training helps people see potential they don’t see. It’s been wonderful to help people discover, test and practice tools that make them more successful. I’m proud of N26’s technical leaders (both formal and informal). I’m impressed with how people have rapidly grown. I’m also impressed with what they do to pass it on. I read the book, “What got you here, won’t get you there” many years ago. It’s message resonated with me during this year. Startups often go through several phases, “Start Up, Scale up, and Optimise” is how I like to think of it. We are definitely in the Scale Up phase. This phase demands different thinking. Acting as if we were in the Start Up phase no longer scales. It’s an educational journey for many people. At scale, you can no longer manage every single situation. At scale, you can no longer make all the decisions. At scale, you have to decide on where you will have the greatest impact. At scale (as a manager), you make less, and need to focus on multiplying more. In Hypergrowth, it’s too easy to hire lots of people. I am wary of this after reading the Mythical Man Month many many years ago. As a manager, I first focus on understanding what capabilities we need. I also think about how those capabilities are best met. Be clear on what you need before hiring people. Focusing on what you need helps you find the right people. It also helps those people be clear about how they will be successful. I have learned many other lessons in this year as a CTO. The six lessons above reflect some of the major themes for this past year that I hope you many learn from. I’m super proud of the people I work with. I’m super proud of the product we produce. It’s been a great ride so far, and it’s only the beginning of the journey. If you have worked in IT for some time, you will have come across the name Jerry Weinberg (Gerald M Weinberg). I first came across Jerry when I first read his book, “The Secrets of Consulting.” Jerry impacts great wisdom through his use of stories. He shared his knowledge generously with our industry and set a great example. He was a prolific writer and I was lucky to inherit many of his books when a contact moved house. I devoured them rapidly, learning much in the process. As a proud Systems Thinker, I enjoyed “An Introduction to General Systems Thinking.” As someone passionate Technical Leadership, I inhaled, “Becoming a Technical Leader.” I refer and recommend many of his books time and time again. I never had the opportunity to meet Jerry but I met many people who he had personally influenced. I heard amazing things about the “Amplify Your Effective (AYE)” conference. I felt people who frequented the AYE conference came away with more drive to have a greater impact. I regret not taking the one opportunity I had to take part, given the wrong timing and place in my life. As someone who believes in agile values, I was lucky to meet Norm Kerth. I forgot he co-authored the “Project Retrospectives” book with Jerry Weinberg. Continuous improvement is the basis for better organisations, teams and processes. Call it retrospectives, kaizen or some other name. I count myself lucky for reading this early on in my career. We stand on the shoulders of giants. Jerry was definitely a giant among giants. In the world of software we often have a negative association with the word, “legacy.” We forget that sometimes that legacy can be a good thing. I am particularly grateful for the legacy Jerry left behind. 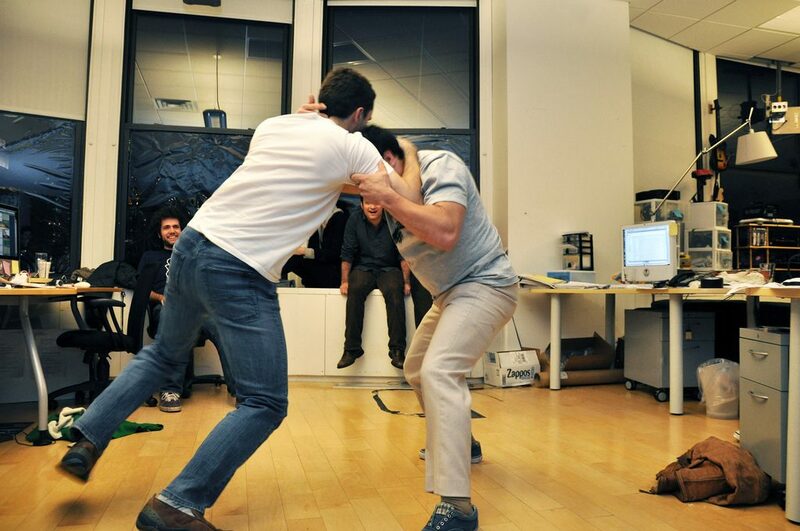 The first time a developer steps into the role of a Tech Lead can be difficult. The skills and experience of a seasoned developer do not automatically translate into the skills necessary for the Tech Lead role. In fact, some of the habits of a developer can do more harm than good, when not applied well and with more authority in this new role. In this article, we explore three common traps a first time Tech Lead experiences, and what they can do to avoid them. A first time Tech Lead will miss writing code. In fact, it is easy for them to assume that they need to demonstrate their leadership by writing code all the time. Although effective Tech Leads need to spend some time writing, reading and reviewing code, other responsibilities are left unfulfilled when they spend too much time writing code, – such as creating a technical vision and ensuring that the team understands key system quality attributes. A lack of technical vision might lead to three different implementations, as developers make decisions individually about what they feel is best, or a deployment might fail because developers are not aware of operational constraints or environmental differences in production. Worse yet is when the code must constantly be reworked because a developer chooses to do something differently without considering maintenance, or how the system may evolve over time. The more experienced Tech Lead understands that they must balance their time to code with other responsibilities. They split their time daily, or at the very least weekly, to ensure that they spend time addressing other responsibilities including building a shared architectural vision, identifying and addressing technical risks, being involved in planning sessions and focusing on team and code cohesiveness and consistency. A first time Tech Lead may sometimes be the most experienced developer on the team, or feel the pressure to make all the technical decisions to demonstrate their authority or influence. When a Tech Lead is making all the technical decisions, they become a bottleneck in the team and the team cannot progress when the Tech Lead is not around. Other team members might feel demotivated when the Tech Lead makes all the important decisions, because their contributions are overruled and this could lead to resentment. Being autocratic – They use the information they have to make a decision, choosing to involve or not involve team members, but inform everyone about the outcome. A team is a group of people working together towards the same goal. The first time Tech Lead might mistakenly see their role leading on all the technical aspects and forget about how the team works together. Although this responsibility may be shared with other roles such as the Team Lead or Project Manager, a Tech Lead must also shepherd the team to move in the same technical direction. It is all too easy for the first time Tech Lead to ignore heated discussions between two developers, or to ignore how technical team members interact poorly with or disrespect non-technical team members. 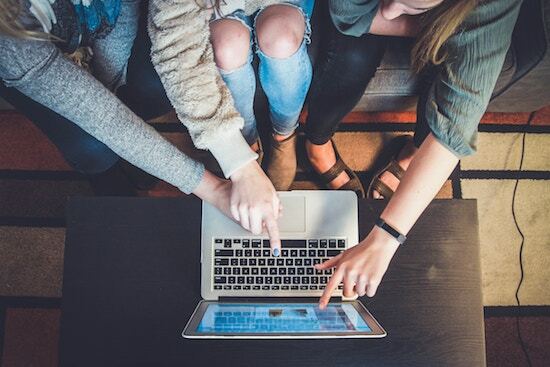 The more experienced Tech Lead realizes that the lead part of their role is just as important as the tech, and constantly looks for ways to build trust and relationships between people in the team. They use practices like white-boarding architectural diagrams as a team, establishing coding or architectural principles with the team to guide individual decisions or running regular improvement katas or retrospectives. The first time Tech Lead can easily fall for a number of traps, often caused by habits developed from their time as a developer. To overcome these traps, they must find ways to strike a balance between their technical and leadership responsibilities. Becoming a Tech Lead is a tough transition for any developer, because only part of the skills and experience you had as a developer prepares you for the expectations of a new role. Instead of simply designing and writing code, a Tech Lead is suddenly responsible for an entire development team – and this means dealing with people, both technical and non-technical. The role is called “Tech Lead” for a reason, and it is essential that you find some time to spend in the codebase. Being involved in the code helps you build respect with the rest of the team, but it also helps keep your knowledge up to date and current with constraints, problems and the “shape” of the current codebase. If you do not spend time with the code, you run the risk of invoking the “Ivory Tower Architect” anti-pattern, leading technical decisions without understanding their real implications for implementation or maintenance. This anti-pattern has numerous side effects including destroying trust with developers, increasing the development time of new features, and increasing the accidental complexity of your software systems. There are many different ways a Tech Lead can find time to code, but it is essential that you make it a priority. 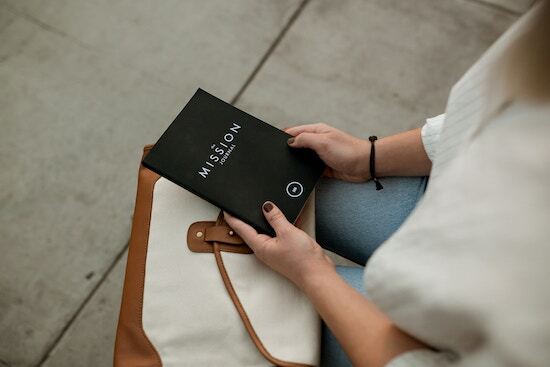 This often means making difficult choices about where you spend your time. Tip #1 should help increase the amount of available time you have. I know some Tech Leads who will block out time in their calendar to ensure that there is always time during the week to write or review code with the other developers. I know of other Tech Leads who review commit logs, and provide feedback to developers – similar to a loose pair-programming style. This is a repost of an old blog post I published while I worked at ThoughtWorks and wanted to recapture it here. See the original here. 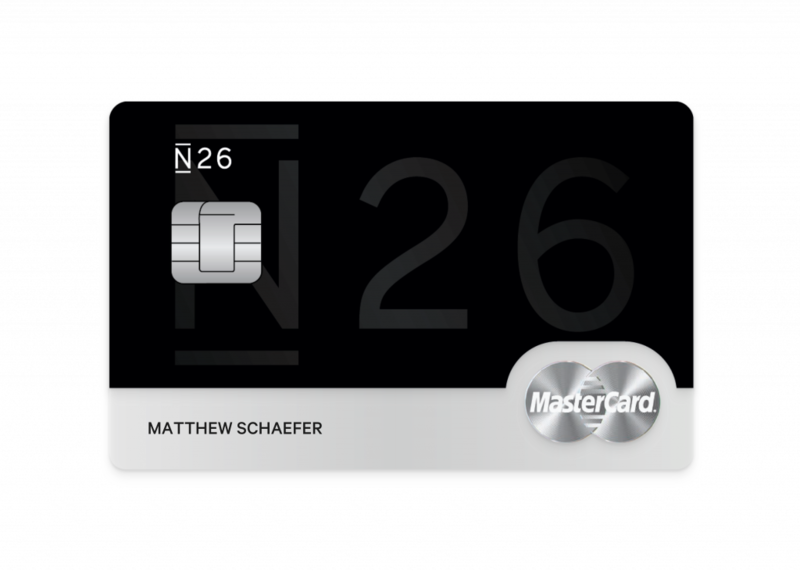 I’m excited to announce that I’ll be taking on the Chief Technology Officer (CTO) role for N26 (formerly Number26), Europe’s first mobile bank with a full European banking license, and who is setting new standards in banking. I’m joining an exciting and talented team based in Berlin, Germany – one of the favourite start-up cities in Europe. In my new role, I’ll draw upon more than a decade of my consulting experiences with the well-respected and industry-changing technology firm, ThoughtWorks – best known for leading the adoption of agile ways of working (particularly its technical practices), publishing open-source software like CruiseControl (the first widely used Continuous Integration servers) and Selenium (well-known automated web-testing tools), and sharing ideas through books like Continuous Delivery and the Lean Enterprise. I’m really looking forward to applying my experiences guiding organisational design, building evolutionary architectures, developing technical leaders all while sustainably delivering value for our customers. After many years as a consultant, I realise that working with a product organisation is a different beast. 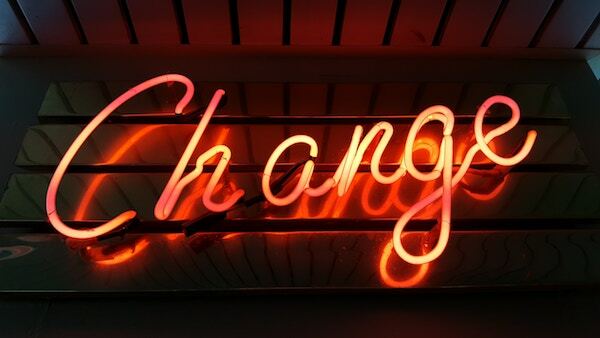 I look forward to having some responsibility to instigate and guide changes throughout the organisation and living out the long-term consequences (both good and bad!) of my actions. 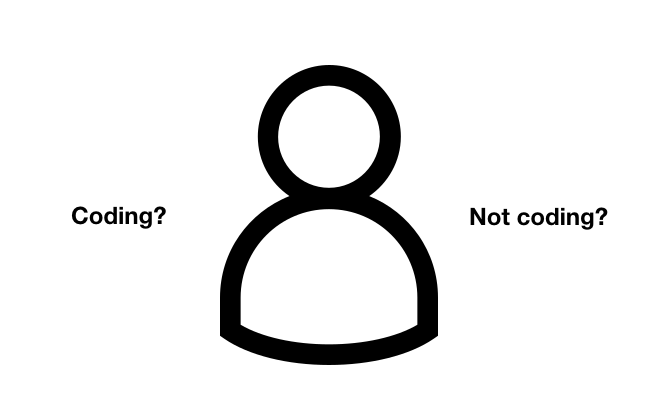 I know that this is often a missing feedback loop for consulting. In my role, I’ll be able to invest more in challenging and growing people and building out new technical and organisational capabilities. I also look forward to spending a bit more time “at home”. I still expect to travel for my new role, still speak at some conferences but I hope I will have a bit more say as to when and where I’ll travel to, based on our business needs rather than where clients happen to be based. Did I mention that I’ll also be based in Berlin, and it’s a great city with a very good balanced lifestyle? I might even get a chance to further develop my German again. As a consultant, I was always skeptical about having significant long-term impact on established financial companies. With teams, or parts or the organisations, yes. With a 10,000+ person company, less so. 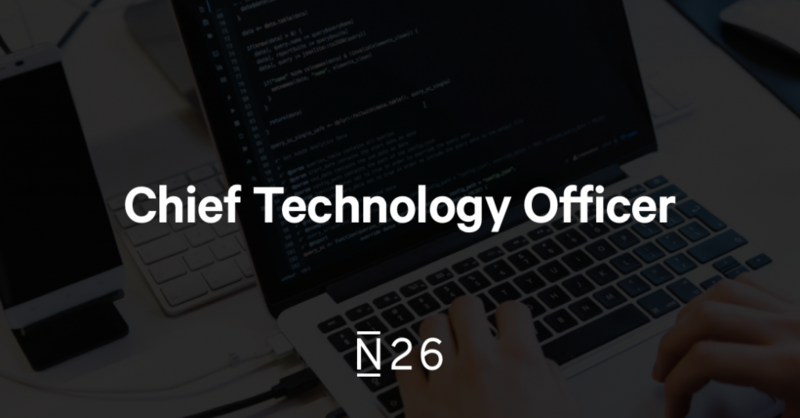 The exciting part about working with N26 is that I will work with a strong management team to prevent unnecessary bureaucracy and to let people focus on adding value to the product and organisation. We benefit from not supporting certain types of legacy, and building software with Continuous Delivery and modern technologies first. I’ll be helping guide us away from the traps and pitfalls I have seen many customers suffer from in the last decade. I also like the fact that N26 is growing fast, and has already proven to meet customer needs, where all growth has been organic so far with very little advertising. 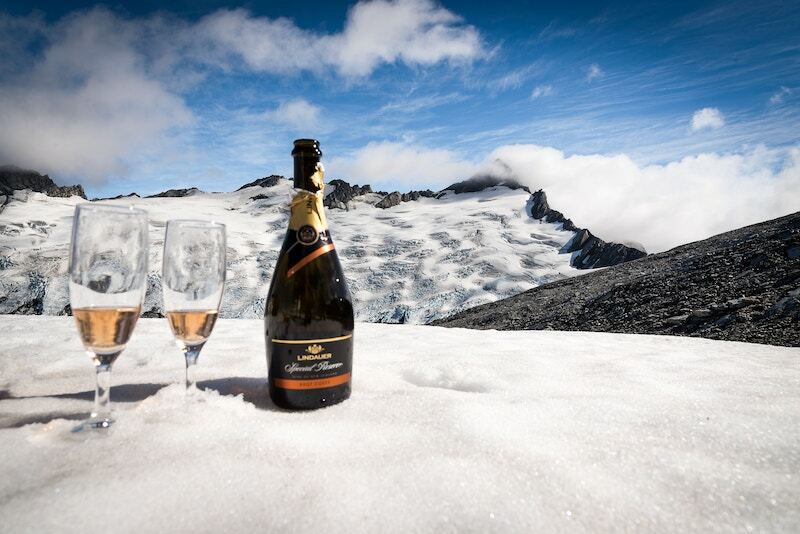 Did you know that we recently hit 500,000 customers (PDF)? It’s also one of the first mobile-first startup banks with a European banking licence, which opens up a world of opportunity that a lot of other FinTech banking products do not yet have. In case you can’t tell, I’m really delighted to be leading the technology organisation behind the bank of the future. The team has already accomplished a lot so far, and I look forward to working with the team to do even more. We’re going to build an exciting place to work in the FinTech sector and have a huge impact on our ever-growing customer base across Europe. If you’d like to be a part of the N26 team and join me on this journey, did I mention that we are hiring? Drop me a line on twitter @patkua (DM’s open), or on my email address if you’re even curious. Berlin’s a great city to live and N26 is a great place to work while you’re there. Earlier this month, I visited our Brazilian offices to run some internal training, called Tech Lead Skills for Developers. The trip felt a bit full circle as I had visited Brazil several years ago for the same reason and needed to develop the material. Instead of the handful of people I coached, I ran two full classes with a mix of people currently playing the Tech Lead role and those who might be stepping into the role. The course I run uses a mix of training styles (short presentations, lots of time for story sharing, discussions, interactive exercises, brainstorm and lots of time for question time). In general I’m really happy with the overall result with a good balance of covering lots of material, making it personalised and relevant, and giving people an opportunity to practice, gather feedback and have a go at applying it. The feedback for the course was quite consistent with those in the past, telling me that the balance was just about right. One of the great opportunities I have had, running this course in different places is seeing some of the cultural implications and differences between continents. I learned, for example, that Brazil (traditionally) has a higher Power Distance Index (PDI on the Hofstede Dimensions), which means that, at least compared to the United Kingdom or America, authority is viewed a bit more strictly. In practice, this meant that a lot of the developers, working in more collaborative environments seemed to almost take an extreme anti-leadership position, where any mark of authority was viewed poorly, or that there was a reluctance to be seen taking on a title. I also discovered that the word delegate in Portuguese had a negative association. As we discussed how effective leaders scale themselves through effective delegation, it was almost interpreted as a manager telling people to take care of the bad tasks – which, of course, wasn’t the intent! In the end, I tried to express effective delegation as a way of ensuring that all important responsibilities were being taken care of. I am running this course again later this year in both Thailand and Singapore and look forward to seeing some more of the cultural differences that emerge during the discussions. I wanted to respond earlier, but tweets were too restrictive. Here’s my response. Well functioning teams in which people share responsibilities are not rare. When a team is not functioning well, assigning a tech lead can potentially make it worse. There are many great points in the article. Some of the points I support such as how sharing responsibilities (also known as effective delegation). Distributing responsibilities can be one way effective teams work. Other points lack essential context such as the title (it depends), while other points lack concrete answers such as how to turn a dysfunctional team into a highly performing team. I’ve worked with at least 30 organisations over my career as a consultant, and countless teams, both as a team member (sometimes Tech Lead) and as an observer. I have seen the whole spectrum – from teams who function like a single person/unit to teams with people who simply tolerate sitting next to each other, and where one can’t miss the passive-aggressive behaviours or snide remarks. Unfortunately the article doesn’t explain how or why the tech lead is a workaround, nor how tech leads alleviate just the consequences. The article gathered some discussion on Hackernews, and I found some comments particularly interesting. (gohrt) Trusting that a pair of engineers will always come to an agreement to authoritatively decide the best way forward seems naive to me. Where are these magical people? (vidhar) …we live in reality where lots of teams are not well-functioning some or all of the time, and we still need to get things done even when we don’t have the time, resources or influence to fix the team composition then and there. (ep103) If I had an entire team of my great engineers, my job would be easy. I’d simply delegate my duties to everyone else, and we’d all be nearly equal. I’m jealous of people who work in a shop where the teams are so well constructed, that they think you can get rid of the tech lead role. (mattsmith321) It’s been a while since I have worked with a lot of talented, like-minded people that were all capable of making good technical decisions. (jt2190) I’ve been on more that one team where no leadership emerged, and in fact, leadership type behavior was passively resisted… These teams (if they can be called that) produced software that had little to no overall design. Do these sound like well-functioning teams to you? They don’t to me. Well-functioning teams do exist. However it is clear that not all teams are well-functioning. In my experience, I would even say that really well-functioning teams are less common than dysfunctional, or just functioning teams. For me, the comments are proof enough that well-functioning teams are not everywhere. Does assigning a tech lead to a poorly functioning team make it worse? In my talk, What I wish I knew as a first time Tech Lead, I explain how acts of leadership are amplifiers (can be good or bad). Therefore assigning a bad tech lead to a poorly functioning team will probably make it worse. However I don’t think organisations set out to give teams bad tech leads. If a team is poorly functioning, what do organisations do? Simply leave the team to stew in its own juices until things are resolved? That’s one option. Doing nothing is a gamble – you depend on someone in the team to take an act of leadership but the question is will they? I’ve seen many teams never resolve the very issues that make them poorly functioning without some form external intervention or assistance. Most organisations try to solve this by introducing a role who has some authority. It doesn’t necessarily need to be a Tech Lead, but when the core issues are technical in nature, a good Tech Lead can help. A good leader will seek out the core issues that prevent good teamwork, and use their role to find ways to move them towards a well-functioning team. Sometimes this may mean calling meetings, even if the team do not want to have meetings to reach an agreement about how the team handles certain situations, tasks or responsibilities. A good outcome might be an agreed Team Charter or some clarity about who in the team is responsible for what. A team may end up with a model that looks like they do not need a Tech Lead, but it takes an act of leadership to to make that happen. The article suggests that a full-time Tech Lead introduces risks such as a lack of collective code ownership, decision-making bottlenecks, a single point bus factor, and (reduced) impact on motivation. I have seen teams with and without Tech Leads both suffering from these issues. In my experience, teams without a Tech Lead tend to have more issues with knowledge silos, no cohesive view and less collective code ownership because there is little motivation to optimise for the group and individuals end up optimising for themselves. The issue is not caused by whether or not teams have a Tech Lead. Rather, these issues are caused by a lack of a technical leadership (behaviour). The Tech Lead role is not a prerequisite for having technical leadership. I have seen teams where strong, passionate individuals will speak up, bring the team together and address these issues – which are acts of leadership. I have also seen dysfunctional teams sit on their hands because individual (job) safety is an issue and these issues go unaddressed. The article misses the subtle but important point of good technical leadership. A good leader and Tech Lead is not trying to own all of the responsibilities – they are there to make sure they happen. There is nothing worse than expecting everyone is responsible for a task, only to find that no one is responsible for it. The extent to how much individuals in a team can own these responsibilities is a function of the individuals’ interests, skills and experience. It depends! 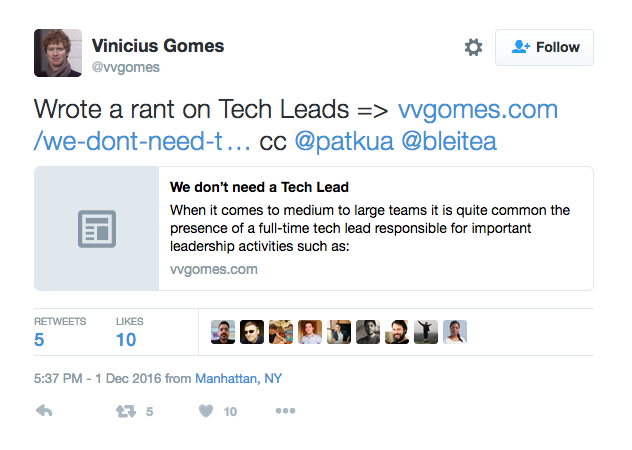 Asking whether or not teams need a Tech Lead is the wrong question. Better questions to ask include what’s the best way to make sure all of the Tech Lead responsibilities are fulfilled, and what style of leadership does this team need right now.